A Hudson River Environmental Conditions Observation System (HRECOS) is owned and managed by CURB and is part of a state network of over a dozen such stations from Albany to NYC. 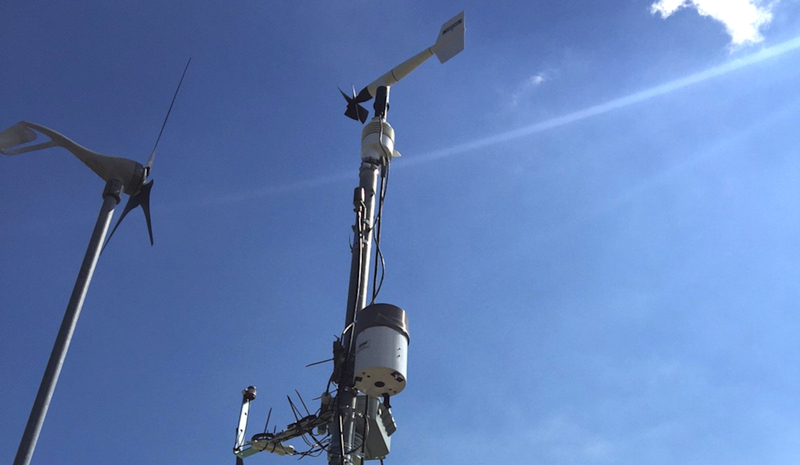 The system, installed at the Groundwork Hudson Valley Science Barge, tracks real-time river parameters such as temperature, pH, salinity, dissolved oxygen, chlorophyll, and turbidity, creating a long-term baseline data set for additional study and analysis. 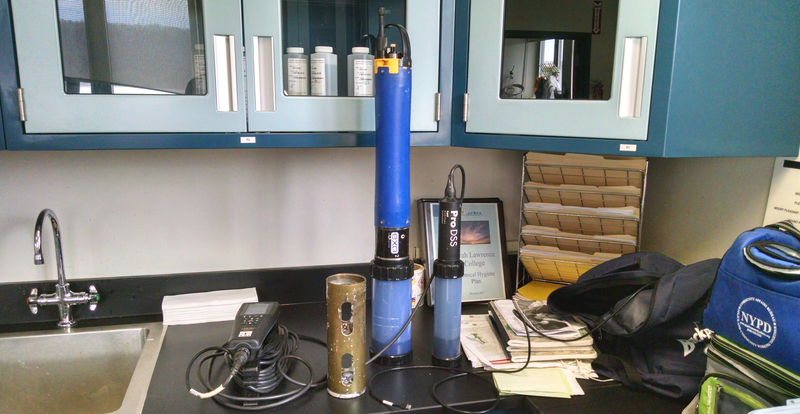 The system utilizes a YSI Exo2 multiparameter sonde which is deployed in the river at a depth of about one meter. The sonde is housed in a perforated PVC pipe that is strapped to the side of the barge, and is in the river 24/7 except for routine cleaning and maintenance. Data points are recorded every 15 minutes and logged via a Campbell Scientific data-logger and transmitted wirelessly over a Sierra Wireless AirLink modem. Current conditions can be seen below. Please note that you can click on the tab for each parameter. *Sonde is out for the winter, check back this spring for live data!